Automotive Auction Company Has Become Quite literally an "Auction in a Box"
AuctionSimplified.com rounds up their software with their new Live Lane Manager. BUFFALO, N.Y. - March 31, 2016 - PRLog -- Auction Simplified, a Buffalo-based provider of online vehicle auctioning systems for automotive dealers, captives, consigners and independent auctions, announced today their latest feature. The enhancement is especially designed for independent lane sale auctions and dealers already holding traditional lane sale Auctions. Auction Simplified's VP and Co-Founder Dave Kaiser made the announcement just prior to the NADA convention. "Up until now we focused on helping dealers start their own auction; with this addition we can help dealers who already have a lane sale and want to add the enhancement of a live online auction," said Kaiser today, at the announcement in the lobby of the Westgate Hotel in Las Vegas. The software is free to sellers, so using Auction Simplified gives dealers an advantage because it allows them the ability to hold their own auction and avoid the high costs of big box auction companies. "With the addition of live auction software, we believe Auction Simplified can now provide every type of auction to our customers: lane sale, proxy bid, open bid, silent bid, make an offer and Buy-me-now,"said Phil Gates, CTO and Co-Founder. Founded in Western New York in 2014, the company has grown rapidly in the North East and has been expanding strategically across the United States. It is currently doing business with more than 1,800 Independent car dealers from 31 states, buying cars on their online marketplace, giving them access to 87 dealerships, 12 auctions in 5 states. By killing off the expenses of transporting cars and the high fees associated with selling cars offsite, Auction Simplified has increased seller profit and lowered the cost to wholesale cars. Their easy to use software requires a short learning curve; however, Auction Simplified provides ongoing training, proactive coaching and support to ensure dealers achieve maximum results. Their industry veteran coaches consult with the wholesale remarketing team to have their new in-house auction up and running in as little as two weeks. For sellers already running an auction or bid sale, Auction Simplified enhances their plan by adding thousands of national buyers online from their wholesale marketplace and providing second generation software, giving them reporting, security and marketing. Using the velocity approach to wholesale, cars are online in front of buyers sooner and are sold faster. Sellers like Auction Simplified because there are no seller fees or software fees. 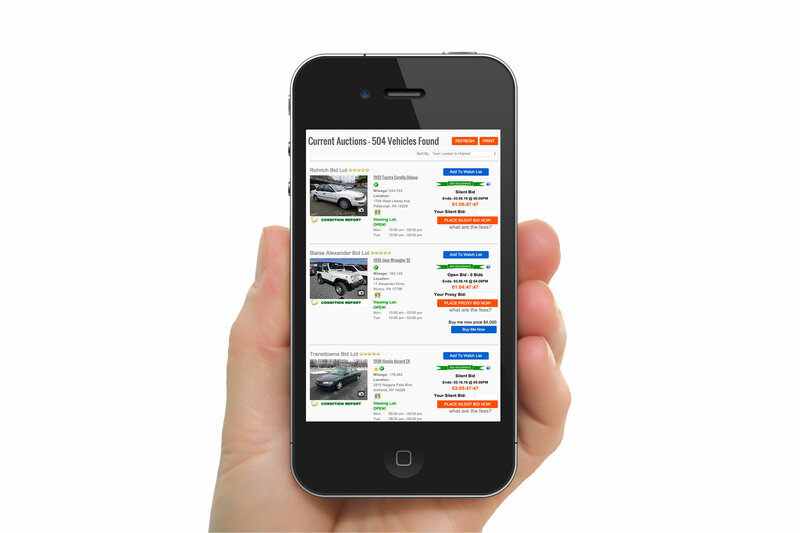 Wholesale Buyers and Independent used car dealers love Auction Simplified because the buy fee is very low, and since it is less expensive for the dealer to sell, prices are typically lower. More information on Auction Simplified can be found at http://www.auctionsimplified.com/ or by calling 877-877-4511.